When the negotiations of the Karzai administration with the Taliban get hotter day by day, the United Nation’s Assistance Mission in Afghanistan and the delegation of some countries in Afghanistan show interest with this proposition of the Afghan government, while they are not very serious in their mandate regarding eradication of the terrorism in Afghanistan, then it is the responsibility of the committed Afghan intellectuals, writers artists and journalists to introduce the real feature of the Taliban to the world for a better recognition of this extremist group. Especially it is important for the democrat individuals and democratic organizations that help and support the democratization process of Afghanistan to know who they are supporting and or funding through the current government of Afghanistan. Therefore, feeling responsibility, we are providing the readers with any reliable information regarding the essence, operations, crimes and terrorist activities of Taliban that we find from different sources. Hence, here we present the second part of the “Godfathers of the Taliban” a serial research article written in Dari (Farsi) by Basir Bigzad the Afghan journalist- writer and researcher in Afghanistan. In the first part of this article, we discussed the historical backgrounds and how, when, by which schools and by who the Talibanism mentality was founded as a political and social movement. In this part we go through to introduce, the religious, sectarian and political supporters of this movement in Pakistan as the core and the main base of The Taliban. In this writing, efforts are made to discuss the internal and external roots for the formation and development of fundamentalism in the form of religious extremists with Talibanism mentality. After the elections of 1993 in Pakistan when the fundamentalist party of Jamiat e Ulama e Pakistan got the power together with People’s Party of Pakistan (Lead by Benazir Bhutto ), the practical path was clear for the rapid growth of the religious extremists in this country. This happened in Pakistan while in Afghanistan, the growth of non- Pashtoon parties such as, Jamiat e Islami, Hezb e Wahdat e Islami and Jonbishe Melli Islami, affected and endangered the historical sovereignty of the Pashtoons in Afghanistan. The ministry of interior, the ISI, and Army of Pakistan has felt this danger, thus if they did not do anything to weaken those non Pashtoon Parties, the Pashtoons would lose sovereignty and power for ever in Afghanistan. This is how three main generals of Pakistan; General Nasrullah Babur, the minister of interior, General Ali Qoli Khan Chief of the ISI and General Abdul Wahid Khan Chief of Staff of the Army of Pakistan have had a secrete agreement to make a new force so that to get the lost sovereignty of the Pashtoons back in Afghanistan as well as a support to the strategy of Pakistan through them in Afghanistan as the fifth province of Pakistan. Although a part of their purpose to make the new born group of Taliban with the spiritual support of Jamiat e Ulama was the reimbursement of power and sovereignty of the Pashtoons in Afghanistan, on the other hand the there were to other main purposes too; to open a market for the low standard products of Pakistan and then to cover the issue of reclamation of Pashtoonistan by Afghanistan; which is critical for both, Afghanistan and Pakistan. 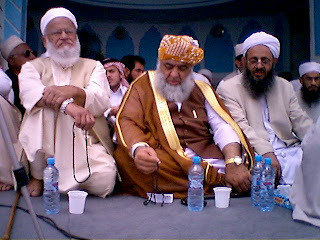 The leaders of Jamiat e Ulama, especially Maulana Fazlu Rahman who is a racist, conservative and religious Pashtoon leader, has made most of the efforts for the formation of this gruesome movement for war torn Afghanistan and he took the main responsibility to lead this movement; because on that time, when Maulana Fazlu Rahman was the chairperson of Permanent Committee of International Affairs of the National Assembly of Pakistan during Benazir Bhutto’s government, he could find very strong foreign supporters for Taliban such as, United States of America, Saudi Arabia and other Arabic countries so that to provide military, economic and political support to this group. Allocating millions of dollars, Saudi Arabia and United Arab Emirates, began to fund thousands of religious schools in Pashtoon living areas and among the Afghan refugees to accelerate the promotion of Wahabism mentality among them. With this harmonic movement, the main moving motors got started to provide logistical supports for the political and military achievement of a fundamentalist group and the base of a tribal government with aggressive mentality and fundamentalist thoughts was put up practically on the ground by these madrasas (religious schools). 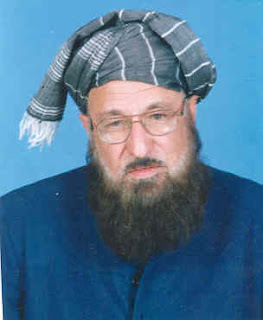 Maulana Samey ul Haq a member of National Assembly of Pakistan and the leader of “Darul Olume Haqania” or “The Haqania Religious School” as a political and religious influential person in Jamiat e Ulama has played a key role to attract the tribes of Free Tribal Areas under the frame of this extremist group; because most of the Taliban leaders had studied religious lessons in his Religious School. 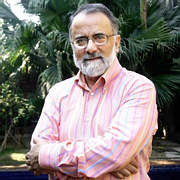 Ahmad Rashid, Pakistani journalist and analyst who has done an interview with Maulana Samey ul Haq in one of his notes quotes what Maulana Samey ul Haq has said; “Before 1991, I did not know Mula Omar, because he has not studied in Pakistan, but the adherents of Mula Omar are all the Taliban or students of Haqania Religious School and they have come to me many times asking what to do. This way, the main root of the Taliban movement was sown and grown unexpectedly day after day in the middle of “Students of Dewbandia Religious Schools” who are mainly Pashtoon extremist fundamentalists and have mixed Islam with their tribal customs. Again Ahmad Rashid writes in this regard; “these inexperienced youth were like foams on water, riding on the waves of war and launched on the beach of the history. Having no remembrances of the past and knowing nothing about the future; present is the only and every thing for them. These young Taliban (religious students) are rootless, without a pivot and without occupations or in better words; they are the orphans of war and in economic discretion they are deprived of knowledge and without assets”. All these plans and programs were being made up for Afghanistan beyond borders, while there was a deep socio- political crisis within Kabul in the form of disagreement among the political parties who had marched their military forces against each other, on the other hand lack of a specific program to establish a stable government peacefully was leading the country towards a harder challenge. The civil war in between, Gulbudeen Hekmatyar and Ahmad Shah Masoud was also an incentive for the new born movement of Taliban and their Pakistani advisors hence the paths were clear for the essence of the Taliban in 1993. Since 1748 or from the kingdom of Ahmad Shah Abdali up to 1992 the power and sovereignty has always been in the hand of the Pashtoons. That means thereafter the Pashtoonization mentality had progressed in its extremist manner and the idea of excellence of the Pashtoons than the other citizens has become one of the main political essentiality or in better words, as long as Afghanistan exists, the leadership of this country is the right of the Pashtoons. After the collapse of pro- USSR puppet government of Najeebullah by Mujahedeen, the sovereignty of the Pashtoons faced with a serious challenge, because a non Pashtoon government was formed for the second time in the history of Afghanistan (Rabani- Tajik) and this forced the tribal parties to look for a new leadership to rehabilitate and maintain the sovereignty of the Pashtoon tribes back in this country. On the other hand, the allies of the Non Pashtoon parties lead by Jamiat e Islami that came newly on power was very fragile. Because these parties were not politically matured therefore the ethnic sovereignty was on again (The Pashtoon sovereignty was replaced by Tajik sovereignty) and that took the country towards destruction. The non- Pashtoon ethnics could not plot an acceptable formation for Kabul administration. This way again the suffering history was repeated and the Afghan people who were just released from Pashtoonization sovereignty this time faced with Tajikism sovereignty and ethnic monopoly and a bloody civil war began and the paradox of existence and non existence was repeated. In June of 1994 some leaders of Jamiat e Islami issued the Fatwa of war against the south while thinking to establish another ethnic monopoly in Afghanistan by conquering the south. This was revealed when the delegations of Jamiat e Islami Sayed Mohammad Khair Khah in Tehran- Iran and Ibrahim Oresji in Dushanbeh- Tajikistan talked in this regard. In a meeting with the adherents of Jamiat e Islami in Dushanbeh, Ibrahim Oresji has said that; “south and south west of the country will be conquered soon by the government forces (Shoraye Nezar), from north and from west Ismayel khan, from the east our allies of Nangarhar council will filter the other groups, then will talk with the Hazaras and the Uzbeks too”. These sayings showed the repeat of another ethnic monopoly and injustice and inequality and discrimination in the country. This time instead of the Pashtoons, the Tajiks would take the power and would repeat the same mistakes of the Pashtoons; that is ignoring all other ethnics of the country and keeping them deprived of their rights and any kind social services. Kabul, Hazarajaat, north and west of the country become grounds for bloody battles in between the Uzbeks and Ismayel Khan, Ahmad Shah Masoud and the Hazaras and in between the Pashtoons and Ahmad Shah Masoud. This civil war lasted for three years. Although some of Tajik intellectuals send open letters to Rabani and Masoud asking them to stop the war and not to repeat a historical war crimes again, but these open letters never were taken serious by them. Some Tajik analysts think the reason of ethnic war in between the Hazaras, Uzbeks and the Tajiks were all because of Abdul Rab Rasoul Sayaf’s advisory who is a Pasthoon extremist leader, they claim that Sayaf always tried to prevent negotiations in between the leaders of these three ethnics. Giving a hand with Sayaf the Rabani Administration first targeted the Hazaras and did genocide in west of Kabul which will be explained later. And then they continued to fight with the Uzbeks. These wars changed Afghanistan into a panic house and slowly on the party battles changed into an ethnic and racial war. From one side the ethnic problems and tensions existed while on the other side after the fall of the pro - communist government Jihad and holy war has lost its meaning, value and importance among the fighter parties and this opened the gates of Afghanistan for the Mullahs, Taliban and free tribes of north west of Pakistan as the safeguarding ambassadors of the Afghan people. 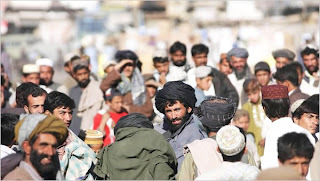 The tribes of the south Afghanistan together with the tribes of north Pakistan composed of conservative and moderate Pashtoons with white or black turbans on the heads instead of ties in the neck appeared on the ground by the names of Mullahs and Maulavis under the title of Taliban movement. Soon they were welcomed in the south and conquered vast areas. Ahmad Rashid again writes in this regard; “after handling the power in their hand, the Mujahedeen commanders forced the people out of their houses and farms, grabbed their houses and farms and distributed them among their soldiers and gun men, even they have kidnapped and raped the teenage boys and girls. This situation changed the idea of the conservative Afghan people about the Mujahedeen thus they welcomed the Taliban warmly as the liberating angels not knowing their real essence and goals”.